There's where the old darkey's heart am long'd to go. 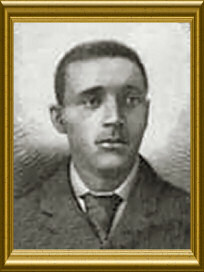 Click here to hear a rendition of "Carry Me Back to Old Virginny" performed by Henry Burr in 1915. Provided by Digital History. There's where this old darkey's dreamer's life will pass away. Also in 1994, House Joint Resolution, No. 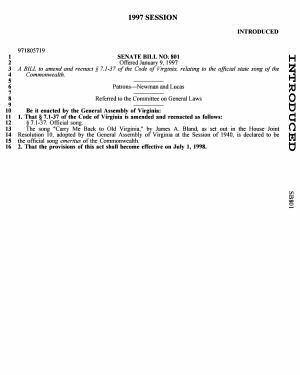 179 was introduced in the Virginia House of Delegates, requesting the Secretary of Health and Human Services "...to review the official state song and make recommendations for changes to its language, as certain lyrics are offensive to many citizens of the Commonwealth." The lyric change in this substitute was similar to that suggested by Sentate Bill No. 231 in 1994, but not identical. Regardless, the substitute was rejected by the full Senate on January 27, 1997 and Senate Bill No. 801, as introduced, was approved by the Senate on the 28th. The following information was excerpted from the Code of Virginia , itle 7.1, Chapter 5, Section 7.1.37. The words and the sheet music are included within the statute. Virginia General Assembly, (http://legis.state.va.us/), December 13, 2004. Songwriter's Hall of Fame, (http://www.songwritershalloffame.org) December 13, 2004. Lions of Virginia District 24-A, (http://www.pwcweb.com/d24alions/) December 13, 2004. State Songs America, Edited by M.J. Bristow, Copyright 2000. 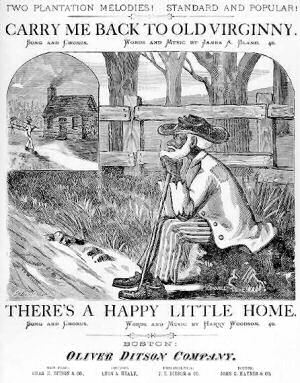 Carry Me Back to Old Virginny: Notated music from The Library of Congress. People & Events: The Yale Glee Club Nixes Foster : Controversy over song lyrics for the Yale Glee Club - The American Experience from the national Public Broadcasting System (PBS). 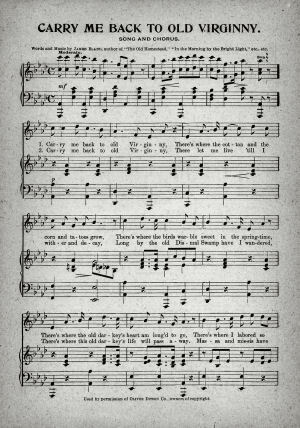 "Our Great Virginia": Virginia state song (Traditional) from NETSTATE.COM. "Sweet Virginia Breeze": Virginia state song (Popular) from NETSTATE.COM.